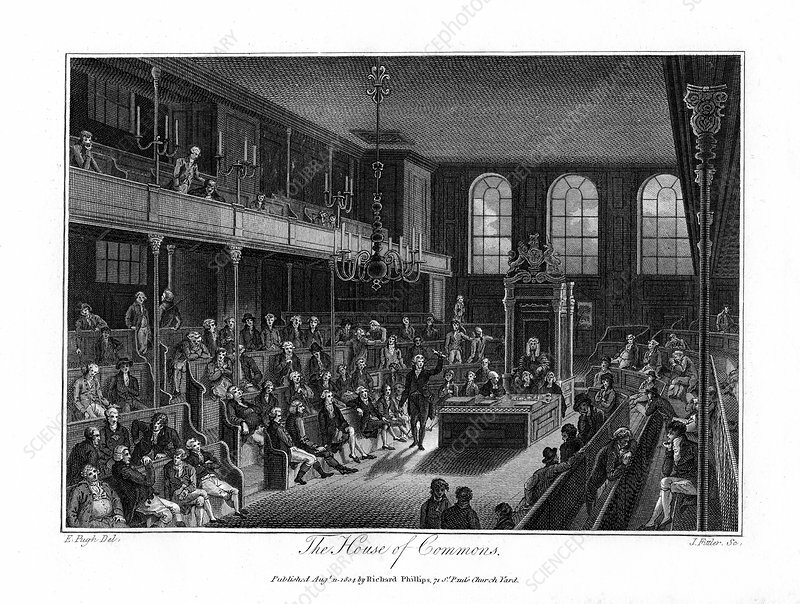 The House of Commons, London, 1804. A copper plate from Modern London; Being the History and Present State of the British Metropolis, by Richard Phillips, (London, 1805). Artist: James Fittler.